Palmares Fiestas is one of the most awaited cultural celebrations in Costa Rica, which enables both the visitors and locals to immerse completely into the local culture. After grand Christmas and New Year celebration, Costa Ricans celebrate Palmares Fiestas that takes place at Palmares for two weeks in January. So if you happen to be there in Costa Rica at this time of the year, do not miss the opportunity to be a part of this festival and witness outstanding concerts, stand-up comedy shows, carnival, fireworks, sporting events, bullfighting, foods and drinks and more. The Fiesta de los Diablitos, also known as the Festival of Little Devils is a yet another interesting festival. It is an annual celebration, which takes place in two villages – Boruca and Rey Curre. The town of Boruca celebrates Fiestas de los Diablitos at the end of December or at the start of January. The celebration lasts for three days where the bull and the diablitos dance around fire are the main attraction. Costa Ricans value religious celebrations such as Semana Santa or Holy Week. It is a time to celebrate the death and resurrection of Jesus Christ. It is a time people devote to worshipping with their families. Traditional masses and processions take place in Catholic Church in every town on Holy Wednesday, Holy Thursday, Good Friday and Easter Sunday. The processions are dramatic reenactments of the journey of Jesus. If you have a penchant for Caribbean Costa Rica culture, you ought to be there at the Límon Carnival in October. It takes place in the port city of Limon on Costa Rica’s southern Caribbean coast and lasts a week, enabling people to experience community’s unique culture. The celebration honors Christopher Columbus who landed in Puerto Limon in 1502. Known for its vibrant colors, musical entertainment and delicious food, Límon Carnival is for people of all ages. Festival de la Luz is one of the most anticipated events that takes place in downtown San Jose in Costa Rica. The festival is associated with holiday celebrations in the Costa Rican capital and is one of the most beautiful attractions owing to its colorful and creative lighting details. Live music, fireworks, masquerades and floats parade literally mesmerize a large number of attendees who are Costa Ricans and foreign tourists. 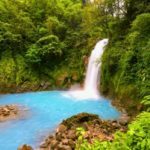 To no surprise, attending Festival de la Luz remains one of the many things to do in Costa Rica for those visiting it in December. Fiesta de Zapote takes place in December at Zapote. 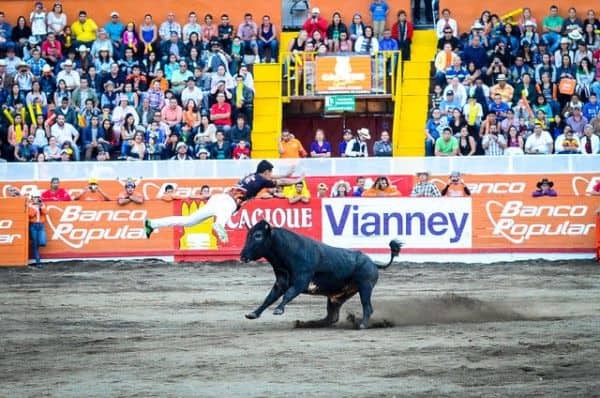 People in Costa Rica also call this festival as super bowl or world cup final of bull riding. People get to step in the bull ring and try bull riding, often resulting in hilarious falls. Apart from bull riding, many other interesting activities including bumper cars, ferris wheels, teacups and numerous fair rides await the arrival of visitors at Fiesta de Zapote.